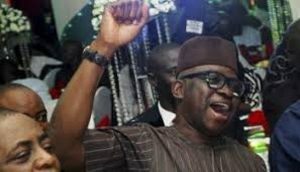 Ekiti LG Polls: PDP Sweeps 17 Chairmanship, 177 Councillorship Seats – Royal Times of Nigeria. 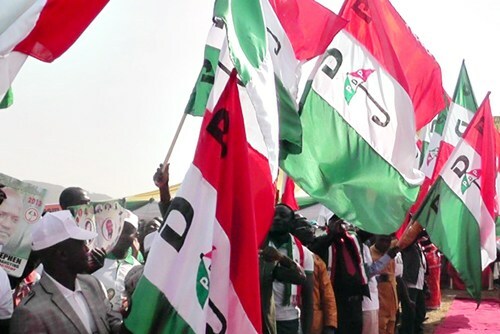 The Peoples Democratic Party (PDP) won all the 16 local government chairmanship and 177 Councillorship seats in the local polls conducted in Ekiti State on Saturday. Addressing newsmen and other stakeholders, Chairman of the Ekiti State Independent Electoral Commission (EKSIEC), Rtd. Justice Kayode Bamisile said the elections were peaceful, free and fair. He said according to results turned-in by all the Returning Officers, who were senior academic staff members from tertiary institutions in Ekiti and Ondo states, PDP swept the poll. In Ido Osi, council, PDP’s Aladedemi Tunde was declared winner having polled a total of 24,432 votes against his closest in National Democratic Liberty Party (NDLP) candidate who polled 121. Also in Irepodun Ifelodun council, PDP’s Dapo Olagunju won having polled 31,724 votes against the candidate of the ADP who polled 1361 votes. In Moba LGA, PDP’s Ayeni James emerged winner having polled 20,444 votes to defeat candidate of the ADP who polled 237. In Ikere-Ekiti, PDP’s Ayeni Ezekiel, polled 22,354, to emerge the winner and in Oye LGA, Sunday Alonge of PDP polled 29,380 to emerge a winner. Ikole LGA has Abiola Olukayode of the PDP who polled 29,956 while in Efon LGA, Yemi Owoeye, emerged winner with 11,900 votes. In Ekiti South West, Omolase Lanre of the PDP polled 24,657, to emerge, winner, while Akindele Ogidi also of PDP in Gbonyin LGA scored 24,940 to emerge the winner. In Ise-Orun LGA, Kolawole Oluropo polled 26,420 to emerge the winner and in Ekiti West LGA, Ayodeji Daniel polled 23,162 to emerge the winner. Also in Emure LG, PDP’s Olubayode Okeya polled 15,293 votes against ADP’s candidate who polled 201 votes, as the winner. In Ilejemeje LGA, PDP’s Awolola Sunday Johnson polled 7303 to emerge winner. In Ijero LGA, Bayo Ojo, PDP’s Dada Biodun emerged winner having polled 23,587 votes as against the candidate of the NDLP who scored 233. “In totality, PDP has won all the 16 council and councillorship seats. I appreciate Ekiti people for peaceful conduct. The All Progressives Congress boycotted the exercise, owing to alleged lack of trust in the election managers. Five other parties participated, they are the Action Democratic Party, National Democratic Liberty Party, PDP, People’s Party of Nigeria, and Social Democratic Party.